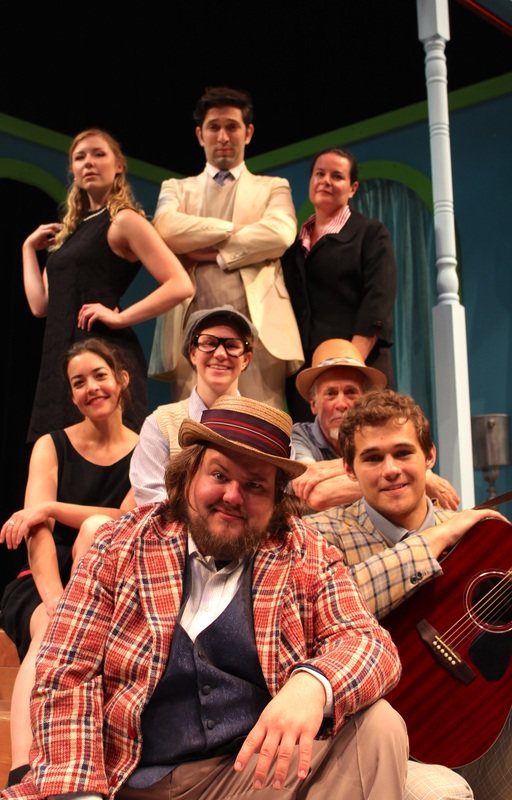 Lost Nation Theater Brings William Shakespeare back for its 30th Season at Montpelier City Hall Arts Center with the heartwarmingly hilarious TWELFTH NIGHT. Does the world seem all topsy-turvy and in need of love to you? Join Lost Nation Theater for a play that was especially written, by one of the greatest English-language playwrights of all time, for a time when things were definitely turned upside-down: Twelfth Night-or what you will. Shakespeare’s Twelfth Night plays Thursdays thru Sundays, July 12 thru July 29, at City Hall Arts Center, Montpelier. Lost Nation Theater is thrilled to bring The Bard back to its boards again for its 30th-Season as the resident professional theater of Montpelier – with many of its, and the community’s, very favorite actors and creative team members working on one of its favorite Shakespeare comedies. 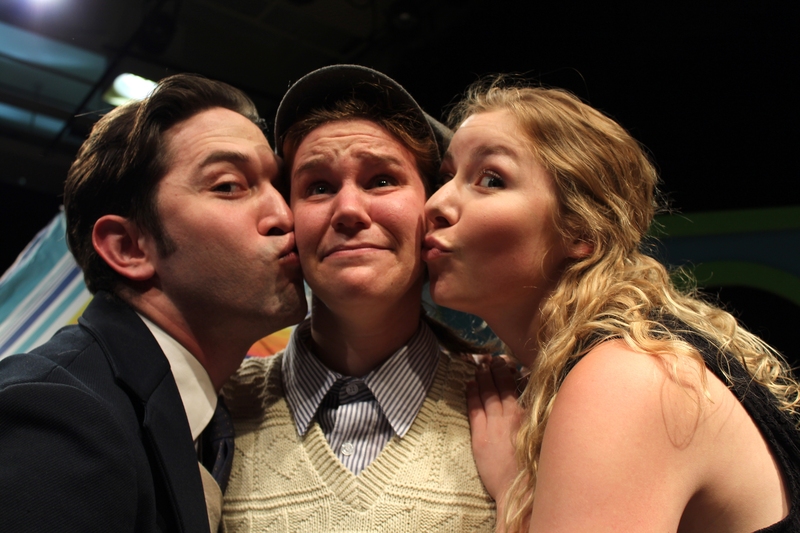 Twelfth Night is the ultimate romcom! Mistaken Identity, Music, Disguises, High-Jinx, Cross-Dressing, Shipwrecks, and Love come center stage with Twelfth Night. There’s a huge storm. Tempest-tossed twins, Viola and Sebastian, are washed ashore on opposite ends of Illyria – a bright and beachy land. (A land of excess – excess of wine, love, ego & melancholy). They each believe the other is drowned. Viola falls in love with Duke Orsino, who is besotted with the Lady Olivia, who falls for Cesario (who is actually Viola disguised as a man so she can survive in this new world) and Olivia is doted on by Malviolia! Now re-enter Sebastian – and the real comic mayhem ensues. All this heartfelt hilarity all happens in just 2-hours! Amanda RaFuse, of Northern Stage, directs. She offers: ” With only 12 days to complete a new play for a command performance, Shakespeare took some of his most popular devices, wrapped them in a plot as old as Plautus, and tied them up with the ribbons of brilliant characters, inimitable language, beautiful music. and Twelfth Night was premiered. A play written for one night, but still performed over 400 years later? Why? I believe it’s the truthful, human comedy of this play. There is no fairy dust or witchcraft, but rather, like we all do in our own lives, the characters struggle with who they are, their circumstances, and they try their best to sort things out. And Revel We Will. Scenic designer Ellen E Jones (Sweeney Todd, Always Patsy Cline, Waiting for Godot) with RaFuse, has created a boldly colorful, beach-inspired, and surprising playground for the actors. Christopher Scheer (Complete Works of Shakespeare-Abridged, 39 Steps) as Duke Orsino and servant Fabian. And introducing to LNT audiences... Damian Leverett as Feste the clown and Sebastian. Also joining Lost Nation Theater’s production are lighting designer James McNamara (Musical of Musicals, Tartuffe), costume designer Charis Churchill (Silent Sky, 39 Steps, 80 Days), composer Kathleen Keenan (LNT Artistic Director), sound designer AJ Bierschwal, props master Chelsea D Taylor and stage manager Ashley Rose Zoglman, with text coach LNT Founding Artistic Director Kim Bent. Anna Leverett serves as Assistant to the Director. Damian Leverett also serves as Asst Composer/Musical Director. Lost Nation Theater: winner “Best in New England”- Yankee Magazine, and named One of the Best Regional Theaters in America by NYC Drama League is Sponsored by Capitol Copy, City of Montpelier, Eternity, National Life Group, The Point-FM, The Times Argus, Great Eastern Radio, WDEV and The World, with media support from Seven Days. See it. Thursdays­–Sundays, July 12 - July 29. Curtain is 7:30pm Thu-Sat; and 2pm Sun. Show Pricing: $10 - $30 Students & seniors (age 65): $5 Off. Youth (11 and under) always $10. Lost Nation Theater is wheelchair accessible, offers an assisted listening system, and large print programs. Call! 802-229-0492 Or get tickets at the City Clerk’s Office on the first floor of Montpelier City Hall. You can also take a chance at the door (starting 1 hour before curtain).